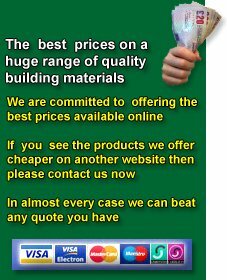 Insulation and Drylining products including Thermal and Acoustic Insulation are available from Building Materials Direct at hugely discounted prices for both the DIY and Selfbuild customer. This includes Rigid Insulation Boards manufactured by Celotex Insulation , Kingspan Insulation , Ecotherm and Recticel , these boards are ideal for use in various applications such as lining out the pitch of a roof or insulating under a concrete screed floor also for between brick and block cavities and timber frame wall constructions. 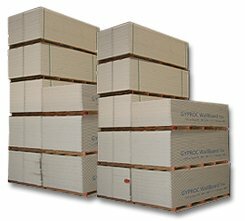 Building Materials Direct are suppliers of a Drylining range that covers the different types of Wallboard available on the market today from premium quality manufacturers such as British Gypsum Plasterboard, Siniat and Knauf plasterboard. The range includes specialist boards such as Sound deadening plasterboard , fire resistant plasterboard , moisture resistant plasterboard , foil backed plasterboard along with the standard wallboards. These boards are widely available in 2400x1200x12.5mm and 15mm thick and can in some instances be obtained in larger sheet sizes such as 2700x1200mm and 3000x1200mm both again in 12.5mm and 15mm thick. Please give our sales team a call with your requirements and they will give competitive prices. In the age where fuel prices are still soaring and everyone is trying to do their bit for the environment it pays to insulate your property correctly to give maximum fuel efficiency and save money at the same time. One of the insulations most commonly used in the loft floor space is fibreglass or mineral wool, BMD supply only quality insulation quilt products made by Knauf , Isover and Rockwool some come in standard pack widths of approx 1180 wide and in thicknesses of 100mm, 150mm, 170mm and 200mm and are usually perforated at 400mm and 600mm so that they can easily be split to fit between rafters. Building Materials Direct are well known Insulation suppliers and also supply Multi-foil Insulation products such as Thinsulex Silver TLX Silver and TLX Gold from Web Dynamics and Actis Tri-Iso Super 10 Plus , these multifoil insulation products are said to be the equivalent of approx 210mm of mineral wool , although a 25mm air gap is required either side it can still present a space saving option.